Originally from Pelham, Alabama, Troy completed his BS and MS at Auburn University where he worked at the Ireland Center for Fisheries Research with Dennis DeVries and Russell Wright. Troy earned his PhD in the Aquatic Ecology Laboratory at The Ohio State University working with Stuart Ludsin and Elizabeth Marschall. After completing his dissertation research Troy worked as a post-doctoral fellow with Matt Catalano in the Quantitative Fisheries Lab in the Auburn University School of Fisheries, Aquaculture, and Aquatic Sciences. An overarching goal of Troy's research is to generate novel ecological knowledge that can inform applied management needs. Along these lines, much of his research has focused on understanding how ecological stressors (i.e., climate change, hypoxia [O2 < 2 mg/L, aka “dead zones”], salinity exposure) affect fish populations, and subsequently, impact management of aquatic resources. Meghan attained her Bachelor’s of Science degree in Marine Science-Biology from the University of Tampa in May 2016. She went on to complete the NOAA-NGI Diversity Internship at the University of Southern Mississippi’s Gulf Coast Research Laboratory and was hired on to be a laboratory research technician in the Fisheries Oceanography and Ecology lab. In Fall 2016, she participated in SEAMAP’s Fall Plankton Survey on NOAA’s R/V Gordon Gunter in the Gulf of Mexico. Her interests lie in the physiology of fishes, as it relates to the organisms’ environment. Meghan is studying 1) habitat-specific effects on the growth of Southern Flounder and 2) historical drivers of recruitment variation along the northern Gulf of Mexico. John attained a B.S. in Wildlife Sciences and Fisheries and Aquatic Sciences at Purdue University. After graduating he worked for fish hatcheries in Alaska, an anadromous fish marking program in Idaho, and pond management in the Midwest. John has spent the last two years working as a technician at Ohio State University evaluating channel catfish stocking practices in Ohio reservoirs. He is interested in how climate change is and will continue to impact aquatic ecosystems. John’s research is examining the impact of climate change on egg quality and recruitment success in southern strains of Yellow Perch. Jared graduated with a B. S. in Wildlife and Fisheries Management from the University of Tennessee, Knoxville in May of 2014. After graduating, he spent two summers protecting sea turtle nests in South Carolina and Florida. 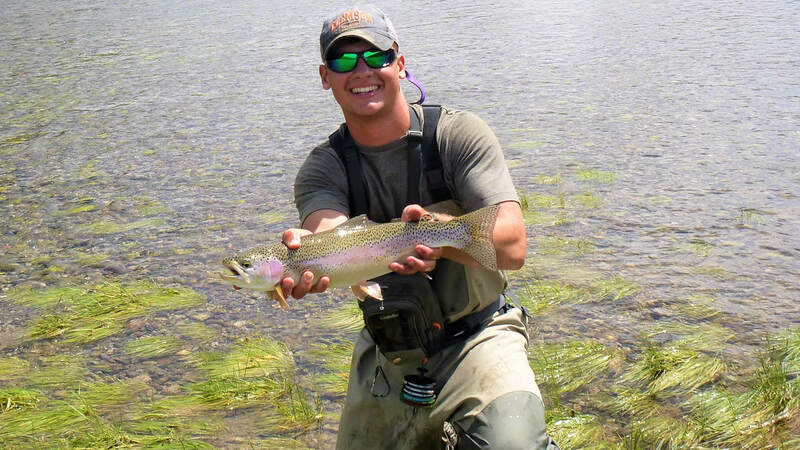 Before beginning his M. S. degree, he completed a season with Yellowstone National Park where his primary focus was to remove non-native salmonid species for the reintroduction of native Artic Grayling and Westslope Cutthroat Trout. He is interested in studying the ecology and life history of fish in order to improve management practices to better maintain sustainable populations. Jared’s research at Clemson will use otolith microchemistry and tissue stable isotopes to quantify residency patterns of southern flounder. 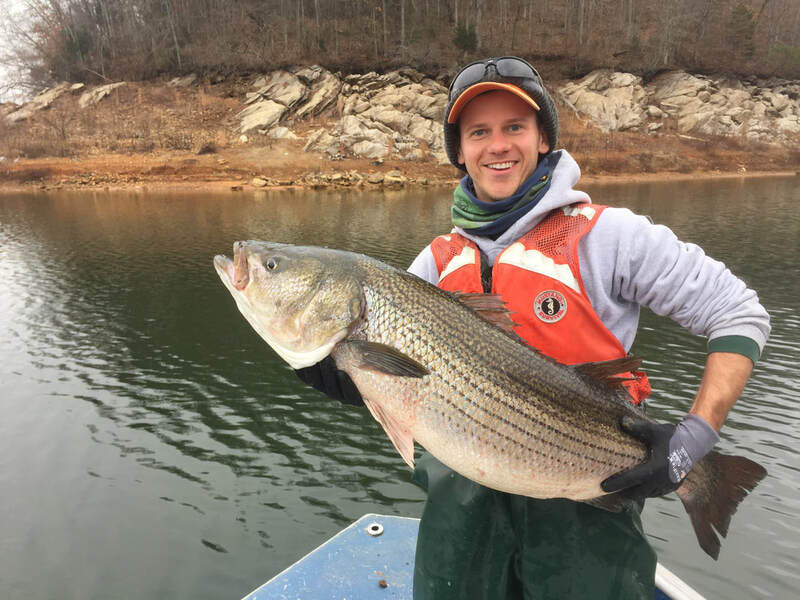 Mason is an undergraduate student studying Wildlife and Fisheries Biology at Clemson. Before beginning his undergraduate studies he spent a summer as a fly fishing guide for Bull Trout and Westslope Cutthroat Trout on the South Fork of the Flathead River in Montana. After freshman year he held a summer internship with South Carolina DNR as a Region 4 freshwater fisheries intern where he restored habitat, sectioned and aged Largemouth Bass otoliths, electrofished for various freshwater species including Robust Redhorse and American Shad, and gill netted for Atlantic and Shortnose Sturgeon. He was previously the social media officer for the Clemson American Fisheries Society and is now serving as president. Currently, he is also working with Dr. Michael Childress' lab investigating Parrotfish territories in the Florida Keys. He is the Southern Flounder Project Technician and plans on pursuing a Master's Degree with interest in the life history and large scale movements of fish.